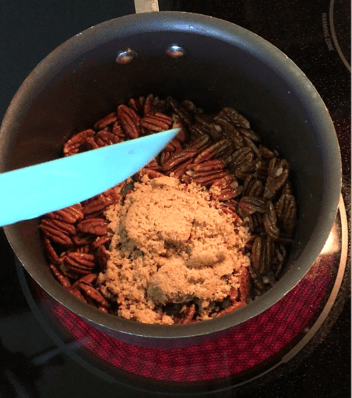 Easy Stovetop Candied Pecans are a delicious holiday treat. The quick candied pecans recipe is easy to make in just a few minutes. Christmas is comin’ up quick. It’s October, but December is right around the corner. 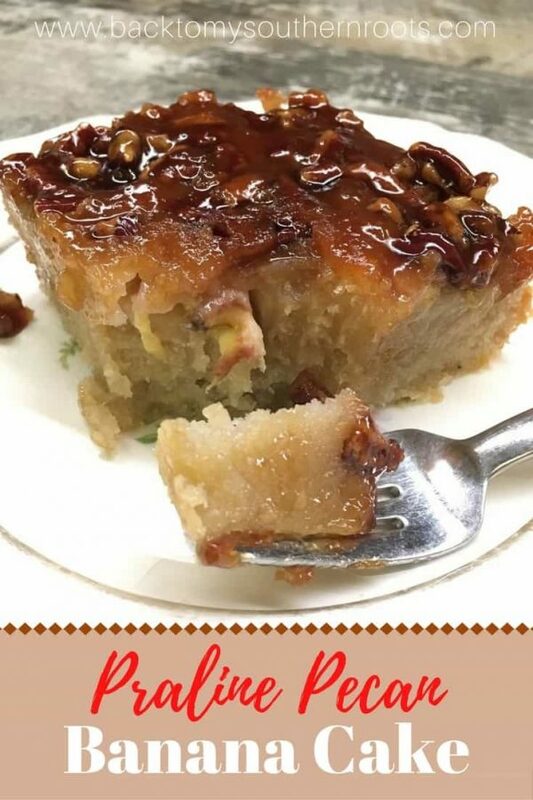 I love this recipe because it’s so easy and inexpensive. And candied pecans with brown sugar is such a delicious treat. It only took me about 15 minutes to make. 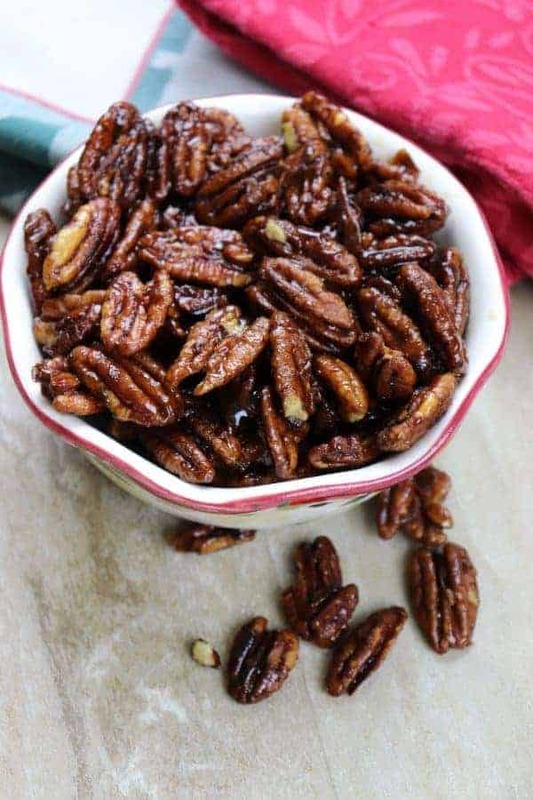 The pecans cool quickly and you have a nice gift to take to a friend, or a teacher, or you can snack on them without sharing any (wink wink). These aren’t quite as sweet as other candied pecans. I only used brown sugar, and eliminated white sugar. But, they are oh-so-delicious. 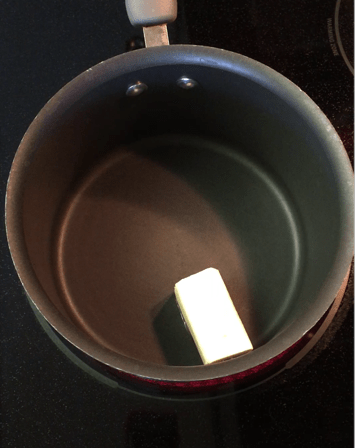 Add half a stick of butter. Let it melt on medium-high heat. Add 2 cups of pecans. Stir the pecans in the butter until they are covered. I think pecans with butter would be a delicious treat. Add 4 tablespoons of brown sugar. I love the taste of brown sugar. It has a deeper flavor than white sugar and adds so much flavor to candied foods. Let the pecans cook in the brown sugar and butter until caramelized. When it starts to boil, cook it for a little bit longer. Once you take it off the stove, pour the pecans on some parchment paper to cool. 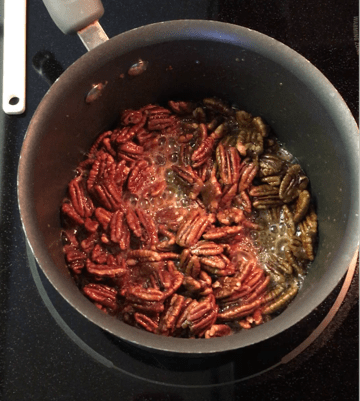 The pecans will harden as they cool. It’s such an easy treat! 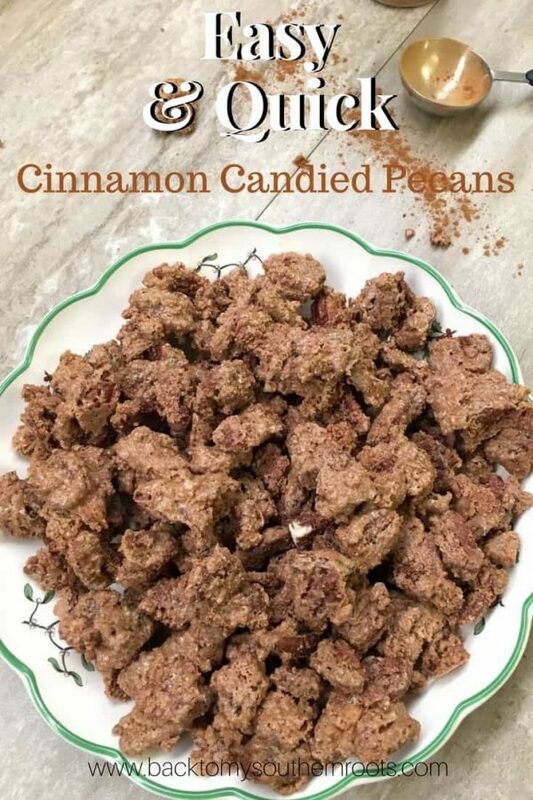 You can add some cinnamon to the brown sugar coated pecans for a more festive fall flavor. 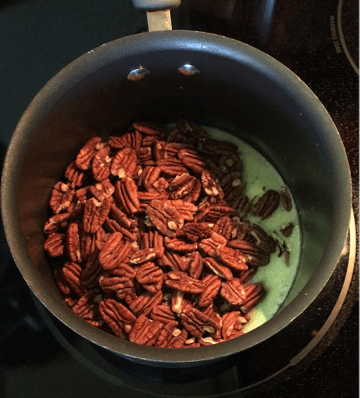 Easy Stovetop Candied Pecans is an easy recipe to make. The recipe only requires three ingredients and a few minutes. 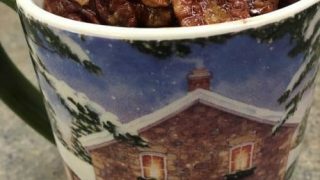 Candied pecans are the perfect gift for any occasion including Christmas. Add pecans and toss until covered with butter. Add sugar and toss pecans until covered. It looks so easy!I have never done this before actually how sad! I’ve done some in the slow cooker, and these were much easier and faster. They turned out delicious! It’s never too late to try. 🙂 If you make some, take a pic and post it on the blog for us to see.